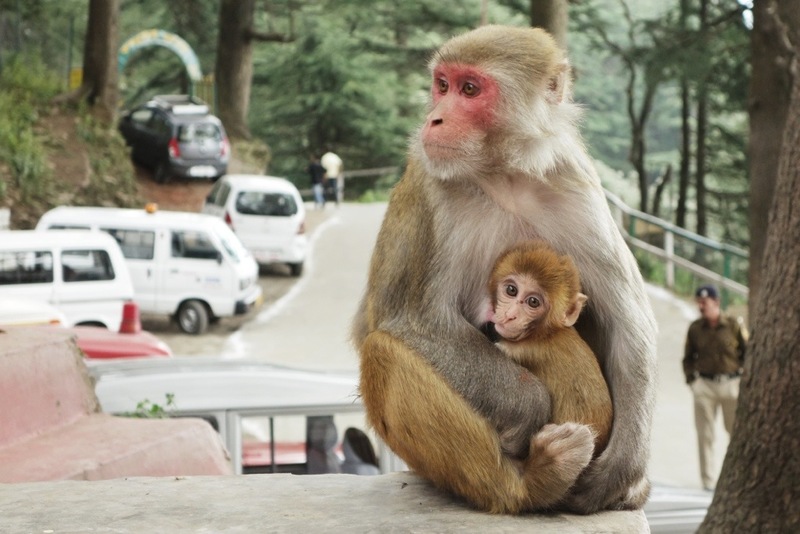 Like most children, I use to dream of having a monkey for a pet, so the idea of monkeys running around town thrilled me. After coming down from Ladakh where there were none, I was surprised and delighted to see them scampering on rooftops and riffling through the trash. Though I knew India was known for them, I really hadn’t expect them to be as prevalent as squirrels for me back home. I have been caught off guard on many occasions as I opened my door to find a monkey sitting nonchalantly on my patio or steps. I have also been frightened as they hiss at me when I walk by, or when I see a large obviously dominate male in my way on the road. I love watching them eat. 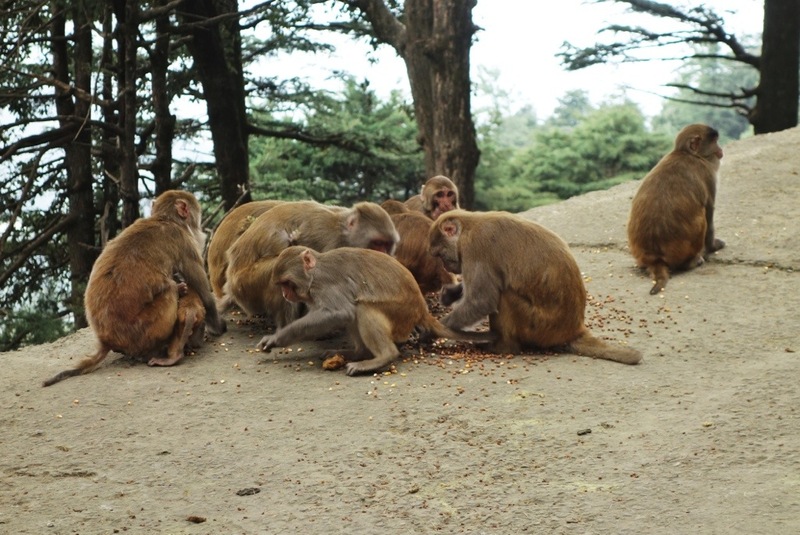 There is an obvious pecking order, and the food tends to cause a lot of fights. They can eat incredibly fast as well, shoveling the food in with both hands. 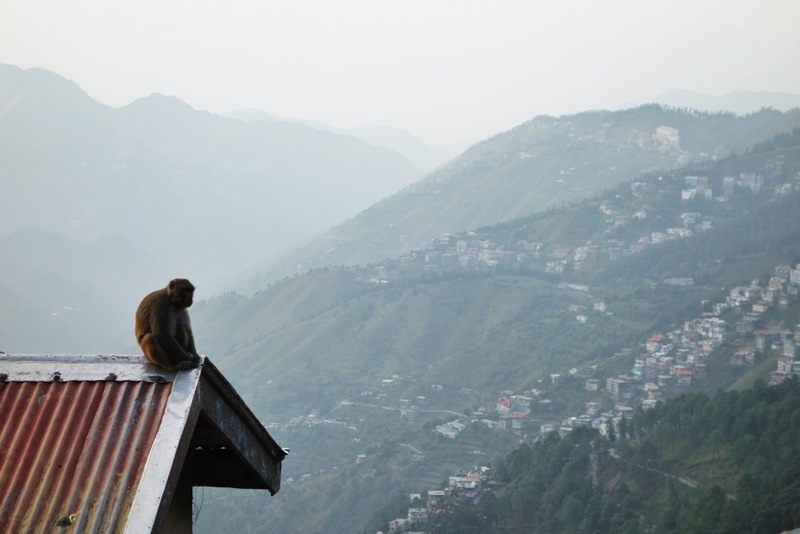 This entry was posted in India and tagged India, Monkeys, Shimla by The Wandering Nomads. Bookmark the permalink. Whoa! I can’t imagine being surprised by a monkey at the door! What fun! Once upon a time I aspired to study chimps with Jane Goodall. Primates are fascinating! Thank you!!! Hugs! I use to also! She was my childhood hero.